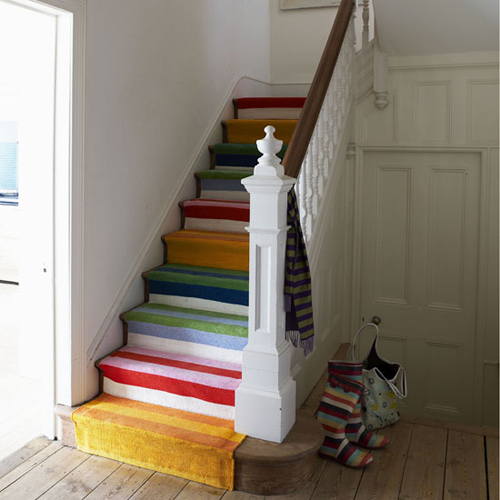 More rainbow stairs, this one is indoors! Ooh love the stairs and the striped wellies! Not necessarily blend in with the surrounding, but the rainbow carpet is simply fabulous. Perfect for a California beach house. Is that carpet?? If so, I think I’m crazy about it… reminds me of a friend’s stairs.